Around the festival, you might have seen labels on some of the casks saying ‘naturally hazy’ or ‘unfined’. You may also have noticed more brewers describing their beers as ‘unfined’. What’s that all about? Roger Hart explains. Unfined beer is – wait for it – beer without finings. Finings clear the beer by giving the yeast something to form clumps around (flocculate), so it settles to the bottom of the cask faster. Unfortunately, it can take some flavour with it, as we’ll find out. Isinglass is most often used to fine beer, and that’s where we start to have a problem. 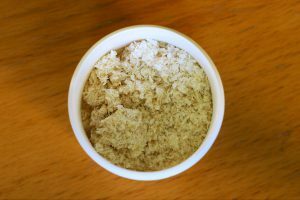 There’s no sugar coating it – isinglass is dried fish bits. Swim bladders, specifically. It’s marvellous for clearing beer, but less enticing if you’re vegetarian. Or if some makes its way into your glass. For many beers, cutting out finings makes them vegan friendly, making great beer accessible to more people. It doesn’t stop there. Brewing beer that isn’t crystal clear gives brewers more space to try things, experimenting with flavours and styles. Moor Brewery, for example, stopped fining any of their beers in 2012, and local favourite Bexar County produce a lot of unfined beer. Plenty of other breweries are seeing the benefit, too. Beer haze, or cloudiness, was seen for years as a sign of beer being off, infected, or poorly looked after. But haze is a symptom, not a cause. It’s not that hazier now means better, but there are plenty of good or neutral things that contribute to haze. Chill haze, for instance, is a temporary effect of some beers getting too cold. If you’re not fining or filtering, you can maximise some flavours. A hop haze comes from ‘dry hopping’ – breweries adding hops directly to each cask, to intensify hop flavour. It makes for punchy, often citrusy beers, and sometimes there’s a bit of hop left behind. This is harmless, and often worth it to preserve aroma. The oils in hops are pretty volatile, and the nose and flavour dull over time. So having some hops in the cask really keeps the flavour going. Likewise some beer haze comes from protein in the ingredients used, or just from having more fine yeast suspended in the beer. This can be neutral, or can add flavour. It brings a bit more body and sometimes a richer mouthfeel, too. Think Belgian ales, or wheat beers. For years they were the gold standard of hazy beers – you got complex flavours from the Belgian wild yeasts, some still in suspension. The fruit and body of a wheat beer wouldn’t be there if you could see right through it, either. It’s a struggle to clear a wheat beer, but you probably wouldn’t want to. A lot of proteins and some hop oils will bind together with the finings just as well as the yeast, and drop out to the bottom, leaving rich, interesting flavour components lost to the bottom of the barrel. The last thing is a rare one, but a nasty one if it happens. If a fined cask gets disturbed, for example if someone tips it up to get out the very last drop, you can end up with a glass full of soupy sludge. That’s a mix of isinglass and yeast from the bottom of the cask. You don’t want to drink that. Trust us. Is it meant to be like that? With unfined beer on the rise, cloudiness isn’t the red flag it once was. Some microbial infections cause a haze, for sure. But some infections leave little to no haze at all. Oxidation or too much temperature change can ruin beer, too. Generally, if a beer isn’t quite right, you’ll smell it before you even have to worry about tasting it. 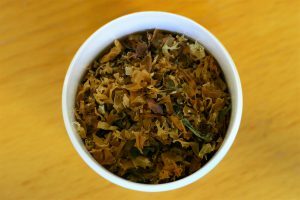 Off aromas include an unwelcome tartness (from lactic acid), a ‘diacetyl’ nose that’s basically weird butterscotch, a kind of vegetal smell like parsnips past their best, and a ‘phenolic’ antiseptic–ish tang. If you detect those, and aren’t expecting them from the description or style, it doesn’t hurt to say something. Watch out, too, for any beer that’s extremely cloudy, or that’s hazy but not listed as ‘unfined’. It may be taking a while to clear – even isinglass isn’t magic. It may be iffy. Give it a sniff if you’re not sure, or talk to the bar staff. They or the cellar team will know what’s going on with the beers, and will want to know about any problems, too. Generally though, unfined beer is pretty positive. It takes constraints away from brewers, and gives them another tool to make complex, interesting beer. 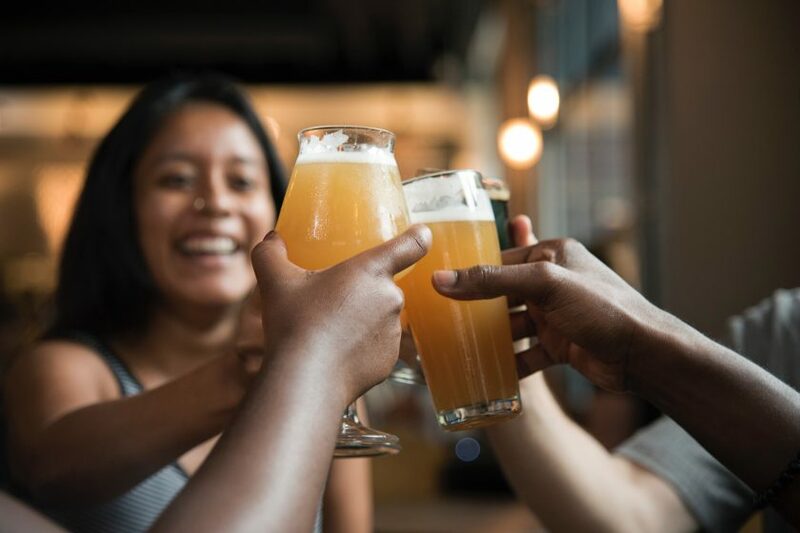 From less-muffled hop flavours, or a deeper body, through to really letting a particular yeast or malt shine, it’s a trend that’s making beer more diverse and exciting.